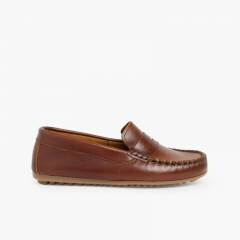 At our kid's footwear store online we have anything you can think of, even the most stylish models, like loafer shoes for boy's ceremonies. We have them either in black or burgundy, perfect for special occasions. 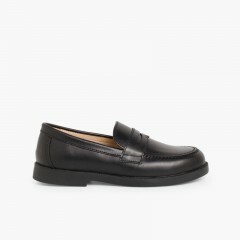 These loafers for boys are made of unbeatable quality leather and are suitable for all ages, and moccasins for boys are also highly demanded by schools, so you will still be able to make the most of them even after the great day. 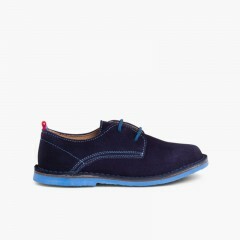 Visit our boy's ceremonial shoes section where you will be able to find the best of online kid's footwear. 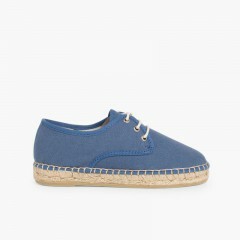 Apart from these stylish shoes we also have footwear for your kids to set trend any time of the year, with our chukka boots for boys, sports shoes, boat shoes, leather school shoes or even our popular boy's espadrilles and jelly sandals for the beach.